For assistance please call us: (615) 884-1111. 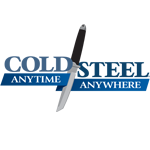 Now Cold Steel brings you an inexpensive, yet highly effective, recreation of this awesome weapon. 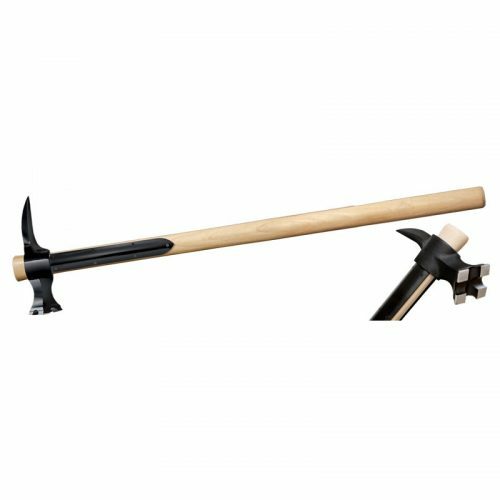 Weighing a little over 21/2" lbs., our War Hammer is highly maneuverable and can be easily wielded with one or both hands. The head is drop forged out of 1055 steel and differentially heat treated. This means the point of the spike and enormous hammer face (11/2" x 11/2") are fully hardened so they can pierce and crush tough materials without failing while the rest of the hammer is left soft to absorb the shock of heavy blows. The handle of our War Hammer has been designed to be equally tough. Made of straight grain American Hickory and measuring 30" long it provides tremendous leverage so enormously powerful blows may be struck. To protect the handle from assault by an opponent armed with an edged weapon we have included a pair of sturdy steel langets which can be attached below the head with the screws provided. (Some assembly is required. Instructions are included).